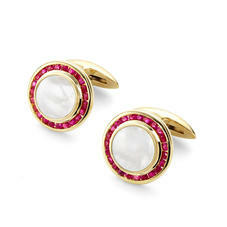 From the vibrancy of rubies and the depth of sapphires to the crisp luxury of diamonds, our distinctive collection of gemstone cufflinks is designed to underscore your attire with a sense of modern opulence. 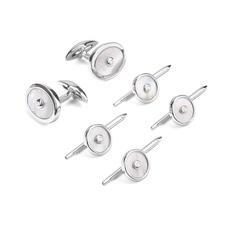 All Aspinal cufflinks are handcrafted to the highest standards from a choice of sterling silver or gold, meticulously inset with superior gems. Choose from exquisite twisted barrels, classic ovals and circular silhouettes inlaid with beautiful mother of pearl, and store them in style in one of our leather cufflinks boxes. 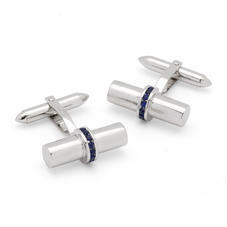 Aspinal is delighted to present our magnificent range of exceptional Gemset Cufflinks. 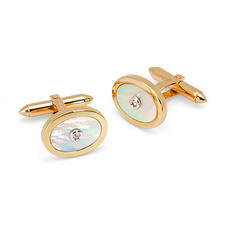 Each pair has been carefully selected for their opulent style and distinction. 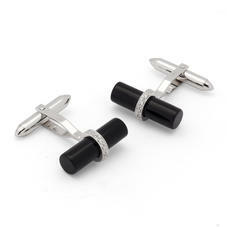 Our range of gemset cufflinks are available in 9ct. 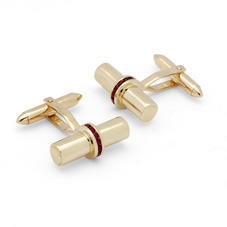 White or Yellow Gold and 18ct White or Yellow Gold. 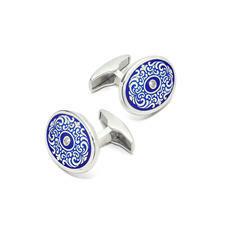 These miniature works of art are the ultimate indulgence for high achieving gentlemen and every pair comes in an exquisite Aspinal signature jewellery presentation box.